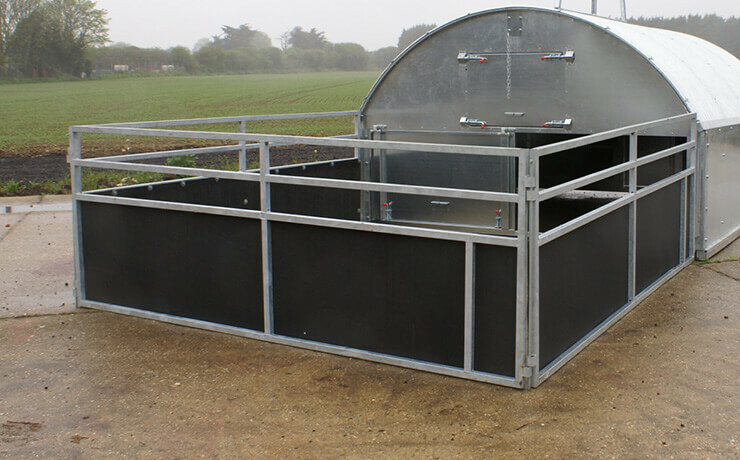 Designed from the ground up, our Grower Units provide high-specification, purpose-built accommodation for weaning pigs. Supplied with dedicated feeding and watering equipment, and a set of hurdles, Grower Units are simply the best you can buy. 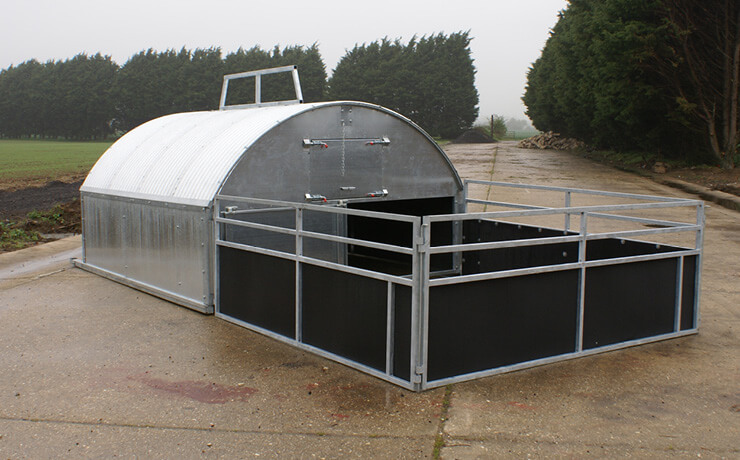 Designed specifically for weaning pigs, our Grower Units are built to the highest specification of any on the market. 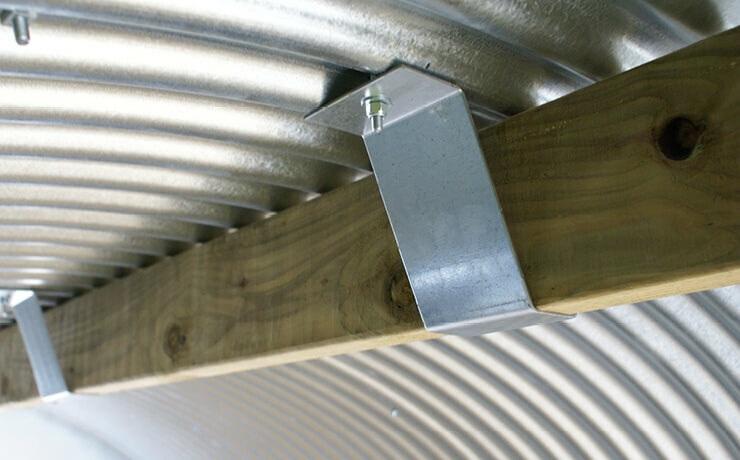 They are made from galvanised steel, with all framework hot-dipped galvanised for maximum longevity. A heavy box-section skid frame for towing and external lifting frame make moving easy. The interior is fully insulated and clad with Stokbord, a tough recycled plastic that is chew resistant, rotproof and completely non-absorbent, so won’t harbour bacteria in the way plywood alternatives do. 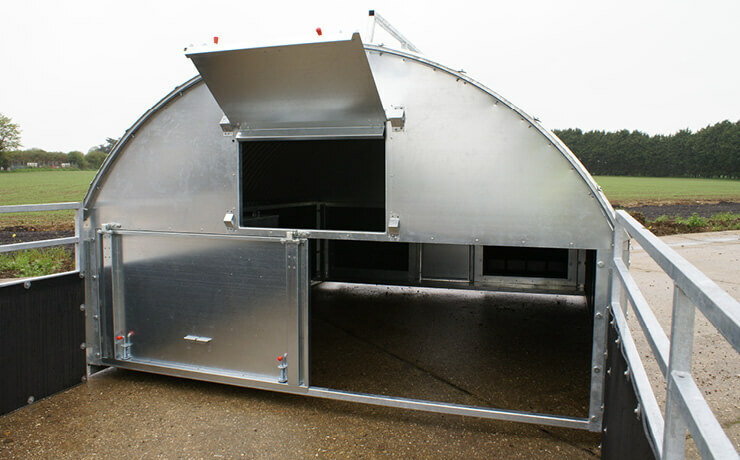 Hinge-up top doors front and rear provide vital ventilation: the front opening also has a hinged doorway for when pigs are first introduced. A hinge-out door in the back panel allows easy access. 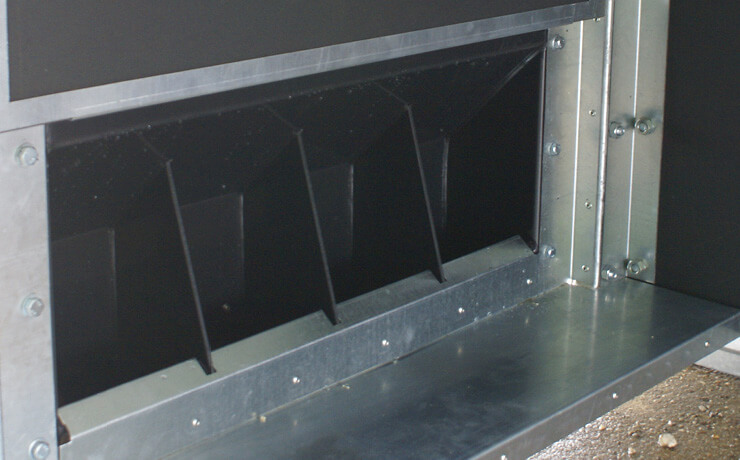 Feed is supplied via two black plastic feeders, each holding around 136kg of feed, and fitted with an internal step. Mounted externally at the rear of the Grower Unit, the feeders are easily filled from outside. Water is supplied by a 136-litre internal tank fitted with nine stainless steel bite drinkers. 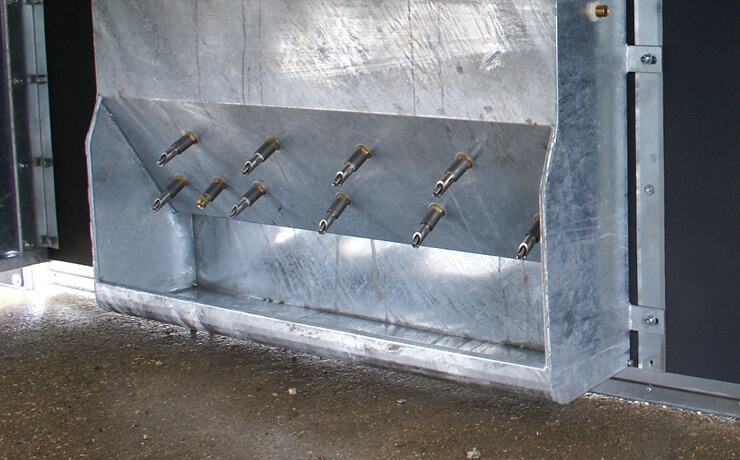 A trough below with drip fitting means the pigs can see water when they’re first introduced, encouraging them to drink as soon as they introduced. 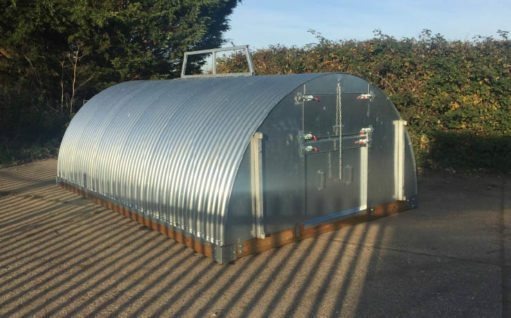 Grower Units are supplied with a set of five hurdles to provide an outdoor run. Each hurdle measures approximately 3.0m long by 1.0m high, and is made from galvanized steel, with the lower 0.6m clad in Stokbord.